Because it was a deep wound I had, a deep cry. A deep request, a heavy sigh. And just that piece would last ever after. Out of my belly it flowed. Taking my cup again and again. Out of my belly let it flow. Artist and Writer Jacqueline Kibacha, also known as the Pretty Poet, has a passion for words and a heart to raise the voice of the voiceless. As a creative strategist she uses her poetry to document and respond to the tensions that occur in the world around her and the human soul within. Originating from Tanzania, living in the Middle East and currently settling in United Kingdom, Jacqueline Kibacha has gained an understanding of issues faced by her brothers and sisters across continents in the light of different cultures, faiths, relationships and politics. It’s hard to be exposed to so many places and not gain a love and appreciation of the colours, textures and rhythms and sounds from East to West. All of these are incorporated in her poetry and music. Her pre-poetry performance background is in acting and singing. 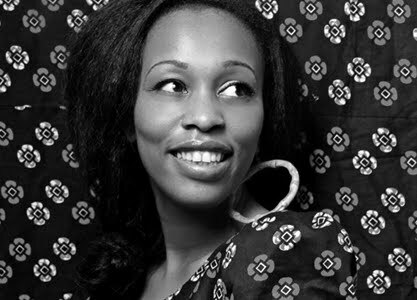 Being a soloist in various choirs, classical to gospel, and also the lead female vocalist of a reggae-funk band that was born in the North East of England. Her creative influences include artists such as Lauryn Hill and Nina Simone who match the weight and richness of their voice with lyrical content that is thought provoking and socially aware. Kibacha has been a newspaper columnist but has also studied and enjoyed creative writing and is fascinated by the power of words. Through organising music events she has cultivated an eclectic taste in music, which fuelled experimentation that started with sounds and words. In her pieces she fuses the love for words with music, collaborating with DJs, musicians and producers to create poetry with a purpose beyond words on a page. With a professional background in project planning and community development Jacqueline Kibacha works with like-minded organisations to set up projects that use creativity to address needs, gaps, issues and obstacles in the community.